Fitness fanatics and weekend warriors, take your fitness to the next level. Featuring five programs (3 strength, 1 warm-ups, 1 recovery), the Compex Performance Muscle Stimulator can help you reach your fitness goals without muscle fatigue. The Compex Performance Tactical White Muscle Stimulator strengthens areas of your body that are tricky to train at the gym, which helps build muscle, burn fat, and improve endurance. It's lightweight, easy to use and perfect to take with you when on the go. Light, durable and easy to hold when on the go or working out. Compex Performance Muscle Stimulator helps you gain more power, strength, and endurance. Combined with your existing training plan, the Compex Performance Muscle Stimulator enables you to target your training and strengthen more muscle in less time so that you can achieve peak performance and fitness without muscle fatigue. Featuring five programs and five levels of progression, the Compex Performance enhances your muscle performance, whether you use the muscle stimulator for sports training, endurance, exercise, muscle development, massage, recovery or warm-ups-giving you the competitive advantage you need to achieve your personal best. Compex Edge Muscle Stimulator helps you gain more power, strength, and endurance. Combined with your existing training plan, the Compex Edge Muscle Stimulator enables you to target your training and strengthen more muscle in less time so that you can achieve peak performance and fitness without muscle fatigue. Featuring three programs, the Compex Edge enhances your muscle performance, whether you use the muscle stimulator for sports training, endurance, exercise, muscle development, massage, recovery or warm-ups-giving you the edge you need to ace your fitness and health goals. 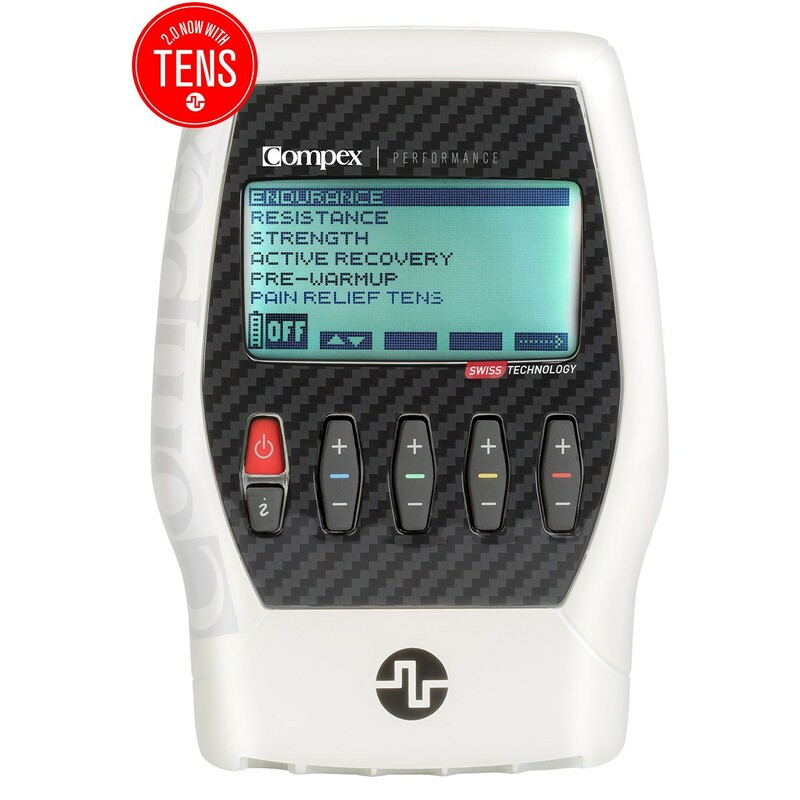 For your protection and to ensure your order is correctly delivered, Compex units require a signature upon delivery. If you are not available during the initial delivery attempt, the carrier will leave a notice with details on redelivery attempts and/or how to obtain your package from a local facility.